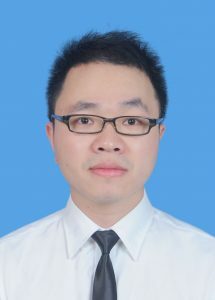 Dr. Wah Yang is currently a surgical specialist in the Department of Metabolic and Bariatric Surgery of the First Affiliated Hospital of Jinan University, Guangzhou, China, which is one of the largest bariatric centres in China. He trained as a laparoscopic general and bariatric surgeon under the supervision of Prof. Cunchuan Wang, a pioneer of laparoscopic surgery in China and the current President of Chinese Society for Metabolic and Bariatric Surgery (CSMBS). Dr. Yang is also currently undertaking a PhD at the State Key Laboratory of Pharmaceutical Biotechnology, Li Ka Shing Faculty of Medicine at the University of Hong Kong. He has authored articles in peer-reviewed journals both in general surgery and bariatric surgery as well as written book chapters in obesity surgery, laparoscopic surgery and thyroid surgery. He has been invited to present, moderate and do live surgery demonstrations at national and international conferences. He organised the 24th IBC Symposium that was held at the CSMBS Annual Congress in Guanghzhou, China on September 15th, 2017, the first IBC event in China. He also has patents of medical equipment which is widely applied in clinical practice. Clinical Interests: Laparoscopic surgery, metabolic and bariatric surgery, gastrointestinal surgery, thyroid Surgery, hernia Surgery, anorectal surgery and general surgery. Research Interests: Obesity and its related metabolic disorders, including insulin resistance, type 2 Diabetes (T2DM), fatty liver disease and atherosclerosis. Dr. Wah Yang involved in basic, clinical and translational research on obesity, diabetes and its associated chronic complications. He will focus on discovery and characterization of new hormones and biomarkers, and exploration of their potential application in the pharmaceutical and biotechnology industry.